Don’t Trash the Dress, Glam the Dress! If you have been keeping up with the news stories, there has been a lot of debate about brides wanting to do a Trash the Dress photo session after their wedding. There are lots of stories and probably thousands of Youtube videos showing what can and sometimes does go wrong during these sessions. If you have time to kill, you can spend about a weeks time watching all the videos. We love doing TTD sessions, and we love to be creative about them. But, we also believe that a Trash the Dress session isn’t for everyone. Not everyone wants to jump into a river, climb a tree, dive into mud, or slide into home-plate with their wedding dress. Especially if you paid lots of money for your wedding dress! So, before you store that dress away in that box, under your bed, or up in the attic…keep reading! What can you do with your dress after the wedding that won’t ruin it, but will still be exciting, fun and can reward you with gorgeous, stunning wall art and stylish images that you will cherish forever? Don’t Trash the dress, Glam the dress! Our Glamour Photography sessions are the perfect way to get more from your wedding dress than the short period of time of your wedding day. Perhaps you didn’t have enough time to get those awesome images you had in mind on your wedding day because things were too hectic or were running behind schedule. Perhaps the weather wasn’t perfect and you had to go to Plan B for your wedding and have it indoors instead of outside. Whatever your reasons were, you can truly get some fun, fashionable, beautiful images in your wedding dress, when you book a Glamour Session with us. You can pick a location, or we can do your photo shoot in our studio. Our no-obligation, pre-session planning meeting will help you prepare for your photo shoot. We will talk about hair, makeup, how to prepare and what to expect on the day of your shoot. Then, we will schedule a date to create the Magic that is You! Treat yourself to one of our Glamour Photography Sessions ladies. When is the last time you did something for yourself? When everyday life keeps you so busy, sometimes it’s easy to forget to make time for yourself…treat yourself to something nice, pamper yourself. I mean doing something just for you. 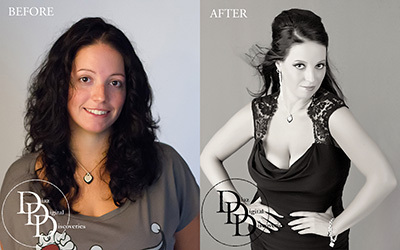 Let us take YOU from Before to After with our professional makeover and photography services. Take a break from the “everyday life” and book one of our Glamour sessions today. Because you’re worth it! For a limited time, Get a Double Session for the price of one. That’s right, full hair, makeup and photo session for two of you! You can bring your sister, best friend, your Mom, anyone you’d like to share this amazing experience with! Then, make plans for after your sessions. Perhaps make it a Girls Night Out and go out and paint the town! Contact us to schedule a pre-session planning meeting for the best results and don’t forget to mention reading the Double Session offer here. Limited time only. Offer may end without prior notice. 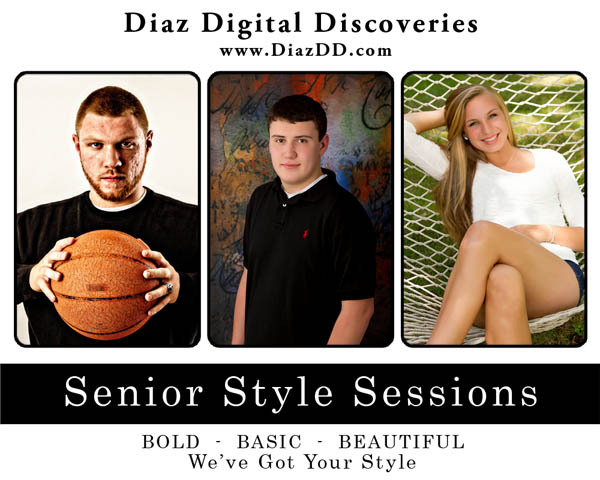 Call 508-216-5898 or e-mail: info@diazdd.com to find out more. Hurry, time is running out to take advantage of this Double Session Special!